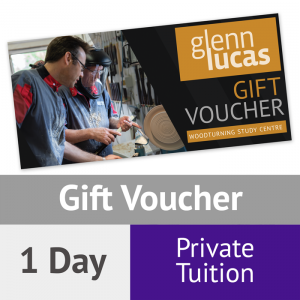 This will entitle the voucher holder to participation on a 1-day class (on a week-day, Mon-Fri) with Glenn Lucas in his studio in Ireland. Day to be agreed with Glenn in advance. 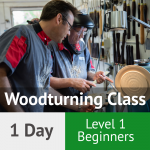 Aimed at people with some experience – for continued professional development/training. Watch our short video on what to expect when you do a class with Glenn. 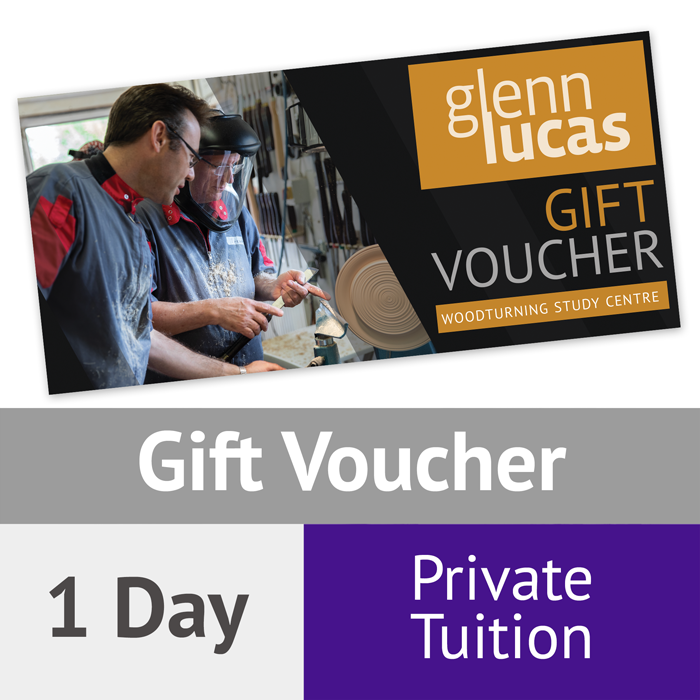 If you wish to have 2 or more people on the private tuition day, cost per person is €200. 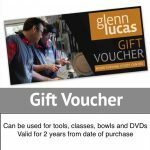 Your voucher will be posted to you, or emailed to you if prefer. Practical details: You will have a top of the range lathe and tool panel with all necessary tools and chucks. All wood is supplied. If you wish to bring your own tools please feel free to do so.